The introduction of the National Living Wage has increased the financial pressure for care homes, particularly for smaller homes, a report says. Accountancy firm Moore Stephens says 12% of care homes have at least a 30% chance of going insolvent within the next three years. It says care homes have been under extra financial strain in recent years. Rising costs and reduced funding from local authorities have come as demand for places at care homes has grown. Moore Stephens also points out that a report by the Care Quality Commission (CQC) in October showed 2,444 residential care homes closed between October 2010 and December 2015, with 1,433 being smaller care homes. The National Living Wage, which was introduced in April this year, currently stands at £7.20 an hour for workers aged 25 and over. “It’s become increasingly difficult for care homes, particularly smaller providers, to keep up a consistently high level of care whilst breaking even or worse, remaining solvent,” says Mike Finch, restructuring partner at Moore Stephens. 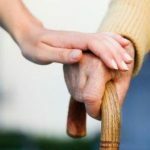 “This is creating an unsustainable situation in a lot of care homes, where more staff is needed to cater for the increase in demand but the money simply isn’t there to cover rising staff costs. Moore Stephens says that although steps are being taken to improve funding to adult social care through the government’s Better Care Fund, with the option for local authorities to raise council tax by 2%, many care home providers “are concerned that this will not go far enough”.